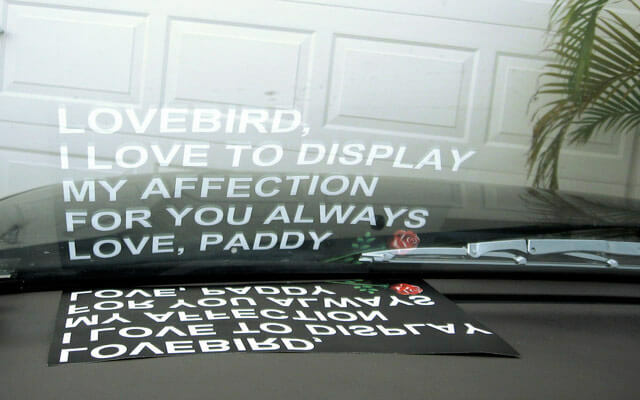 Make your own personalized Head-Up Display of Affection on your loved one's vehicle. A head-up display is a reflection that appears on the windshield of a car so the driver does not need to look down while driving to read it. Surprise her when she first gets in the vehicle to see your personalized message displayed across the windshield. White letters on a black background provide the best contrast as the letters will appear on the glass without any background, looking more realistic. Full step-by-step instructions for your Display of Affection are below. 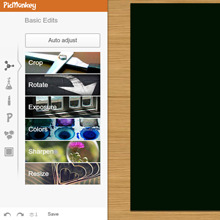 Once loaded with the large black rectangle, select the P in the left column to enter text. 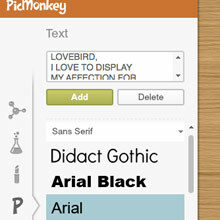 Click in the text box to start to enter your personalized text. Capital letters will be easier to read. Use three or four words per line and press enter after each line. This will space the text properly instead of one long line. Only two lines will show in the text box as you press enter. If you need to go back up to correct text, use the arrow keys on your keyboard while the cursor is cclicked inside the text box. 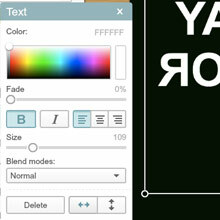 Cclick on the text box and drag to the top left corner. 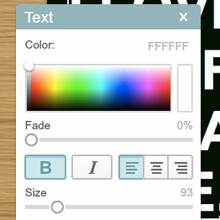 Hover the cursor over the circle on the bottom right of the text box until it makes a double arrow, then cclick and drag as shown to increase the size of the text. Leave a little space around the edge. The completed text sizing should look like this. 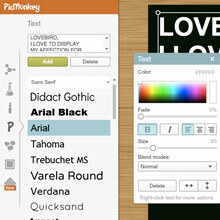 On the Text panel select the horizontal arrows button to flip the text backwards. 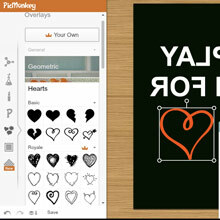 You can also add a heart shape by selecting Shapes. Scroll down to hearts and then cclick and drag onto your message. Crop any excess black background depending on the length of your message. 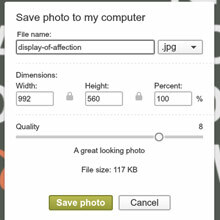 Select the Save at the bottom left to save the file to your computer for printing. Name the image then select the Save Photo button. Save to the desktop to find easily. 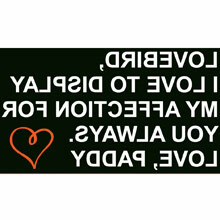 Print the image, cut out without any white around the edges, and place on the dashboard of her vehicle. The best time of day for this to work well is the afternoon when the sun is high and indirect sunlight on the dash will really make it noticeable. 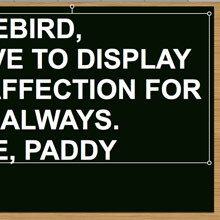 You can also place this on the passenger side of your own vehicle so she'll see it when she gets in. The center of the dash will have the least distortion from the curve of the windshield.